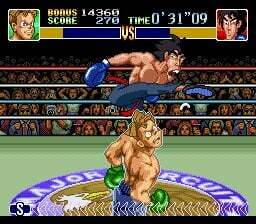 Featuring the tight game play and humor the series is known for, this sequel to the NES™ classic sees Little Mac return to the ring with the World Video Boxing Association belt once again at stake. 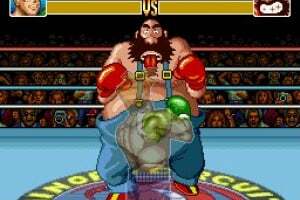 Slug your way through the grueling, sweat-pounding matches of the Minor, Major and World Circuits as you face off against some of Little Mac's greatest rivals, such as Bear Hugger, Bald Bull and Super Macho Man. With a cast of new challengers waiting, do you have what it takes to identify their unique patterns and exploit their weaknesses? 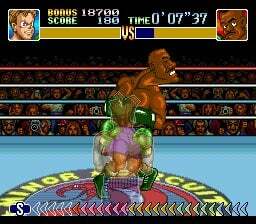 Go to your corner and come out fighting, but remember what Doc Louis would say: "It's not about brawling-it's about finesse!" I always preferred this one to the original. It's got way more character. YEEESSS!! It about time this got ESRB-rated! 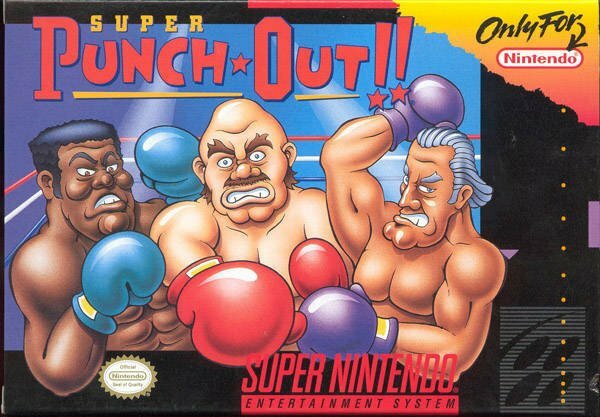 I loved the NES Punch-Out and can't wait for this! 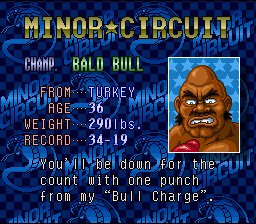 They must be trying to get us ready for Punch Out!! Wii. Still, i won't buy it because i'm getting Fight Night Round 2 but i'd recommend a download of this to anyone who'd be interested. Though I do love this game, I still think the original is better. Never had a chance to play this sequel so I'm pretty excited about this announcement. This is much better than the original. (the original is still good, though). Yay! Man can't wait for this one!! I plan to get this. And yes, it's probably to hype the Wii game. 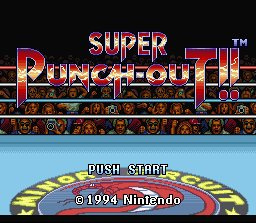 I have super punch out for the GCN.thanks EA for including it as a bonus in fight nights BH edition! sorry ,I don't remember the name of the game. 5 stars! FIGHT NIGHT ROUND 2! thanks,Terranigma. The NES one is a classic, and I like it best! Still, this sequel is pretty good, and its addition to the collection worth 800 points. This is gonna be great. Cant wait !!! 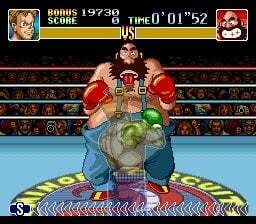 Probrobly will come out when Punch out for the Wii comes out. 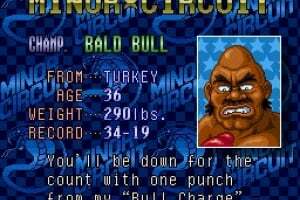 Maybe I'll get this instead of the orignal Punch out. 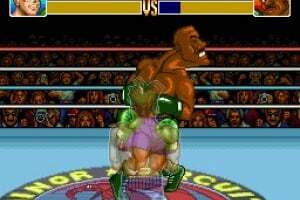 dynamite headdy, super metroid, lolo 2, or this, super punch out!!!? My guess is Super Punch-Out will come out somewhere in the month of April, (being April 27th is the PERFECT day for SSB64 to come out in NA... if NOA isn't STUPID); up until May 18th... which is a Monday after all, so maybe NOA will surprise us & release it then on that day along with Punch-Out Wii!!! how many blocks does it take up? It takes up 33 Blocks. If you're like me, and lack a "Classic" controller, don't worry this game has customizable button controls, so you can easily use it with a GameCube controller if you want. The opponents look much better, and their bigger sprites are easier on the eyes. 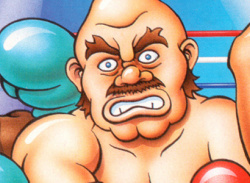 They're also every bit as hilarious, and politically-incorrect (in a good way, even the cacasion/white ones are real goofy) as the NES ones were, and their facial expressions, and animations are quite funny, and seem inspired by both older Western, and Japanese cartoons. I got this game for VC a year ago, and I played this game so much sense then, I can now beat all of the circuits without getting knocked out. 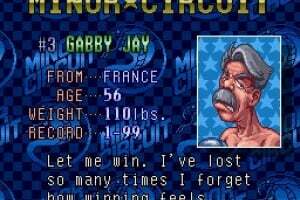 Like the NES game, there's a li'l trial-and-error, and puzzle-ellements to it, but that just adds to the experience, and fun of the game.It feels really rewarding to figure out how to beat a boss, you previously had trouble with, and now I can't even imagine how I could lose to Glass Joe now that I can literally beat him in under 10 seconds. 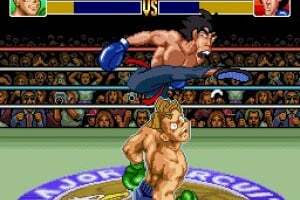 There's so many different ways you can figure out how to beat your opponent, that the game feels like it has alot of depth to it, and I love dishing out super uppercuts, new multi-hit attacks, and star-bar system. (Wich seems like an improved system over the NES one.) 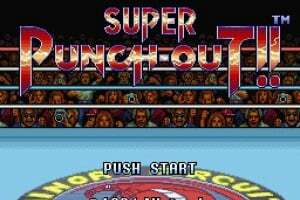 There's even ways you can figure out how to render your opponents completely dizzy/disoriented, or nock them down with a single super-punch when dizzy. Also, there's a time trial mode included, and it's just as fun as the main game, and is great for practicing beating your opponents, getting better at the game, and getting better times. Don't let the $8 price-tag turn you off, (if you think it's to high for 16-bit games) it's worth every penny, I say. Great game. I never passed the 2nd guy on the special circuit in th 90's. I bought this a few months ago on vc and got back to the special. (with a little practice and relearning) It felt so good to fianally beat it all. 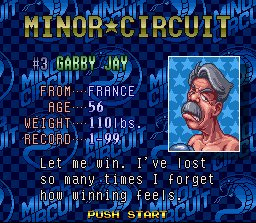 Even now when i replay it I'll lose to nick once or twice sometimes. Great game! Will replay it for years to come.